Maybe this will change in the future, but the name Remington still commands a certain respect. This is a company which has been around since 1816. While it is true that it takes more than a mere date of foundation to establish credibility, Remington has undoubtedly succeeded in doing this. Their firearms – rifles, shotguns, and handguns – have always been top-shelf quality. Heck, Guatemala even put its rifles on the national flag and coat of arms! The company itself got into some hot water in 2014, and due to a $950 million debt, it was forced to declare bankruptcy. But Remington bounced back quickly and was able to extricate itself from bankruptcy in under two months. 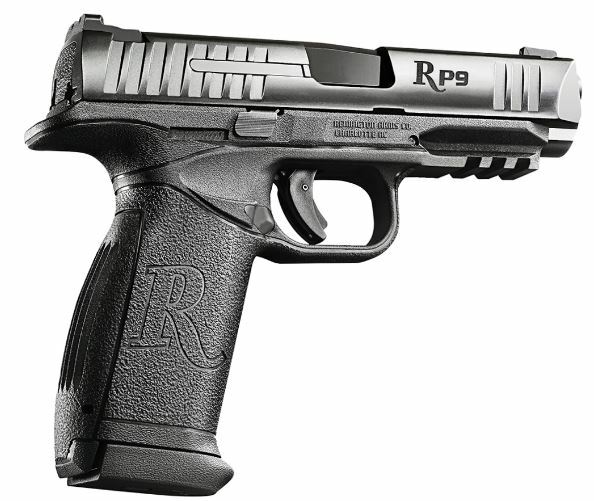 Unlike many of its all-metal pistols and wood/metal firearms, the RP9 is polymer-based. When this gun was released in 2016, some were surprised. But, part of being an arms manufacturer is catering to certain crowds. 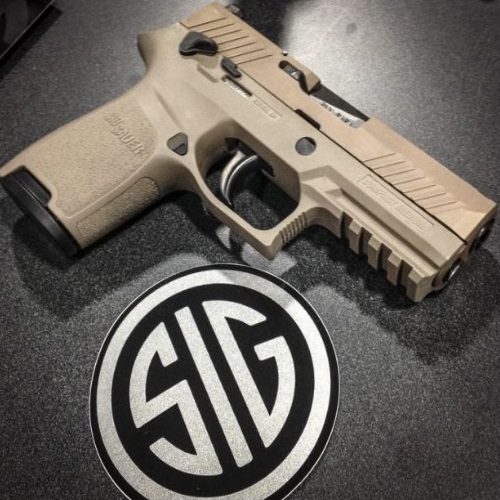 And people love – love – their polymer-based 9mm striker-fired pistols. Let’s go a bit further, shall we? Here are the numbers. Plainly put, it is a full-sized 9mm polymer handgun. There are many like it out there, and really, it should have come as no surprise that Remington wanted a piece of the polymer-based striker-fired action. Its barrel is made of stainless steel, and it is coated in a substance resistant to corrosion. The slide is also protected in the same way. Thankfully, Remington decided against adding finger grooves to the grip. I dislike finger grooves in my grip. Give me checkered grips, serrated, whatever. But do not hand me a gun with finger grooves. I know, I know, it is meant to increase purchase and provide a more solid grip for a better and more accurate shot. Fine. Even when that is all said and done – I just don’t like it. The gun comes with three interchangeable backstraps and, coupled with the lack of grooves, this means that pretty much everyone and anyone will be able to hold this gun and get a nice grip on it. And speaking of a good grip, the gun is essentially ambidextrous. The side serrations really help to unholster this thing, and everyone knows how important getting your gun out of the holster can be. Why, it can make all of the difference in the world! 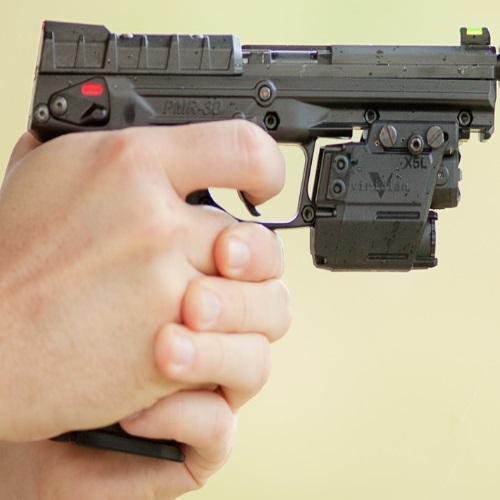 The RP9 has no external safety, and it has a typical 3-dot sight. The visual design is a little meh, especially with that big R on the grip. We get it – it’s a Remington. It says so on the slide, so why add it to the grip? Ah, well, no accounting for taste. Perhaps it’s my own lack of aesthetics which prevents me from enjoying that specific design detail. Under the barrel you will find a small Picatinny rail for optics, etc. The MSRP is a bit over $400, and in shops (on and offline) you can usually find it for a price of between $300 to $400. It comes with 2 18-round magazines (metal body), 3 backstraps, cable lock, and manual. Pretty standard, really, but that does not mean it isn’t good. Especially considering the price. This is a crucial point. For those who are more price-conscious, and who are looking for a 9mm home-defense firearm, the RP9 may be precisely up their alley. Within a few months of its release, consumers began to complain about the RP9. The first issue which was discussed was that the gun exhibited issues with the slide release. It would sometimes malfunction, and the slide release would not in fact release the slide. But this isn’t really an issue, since it is a slide lock, not a slide release. As one firearms forum contributor eloquently put it: read the manual, people. The second, and perhaps more serious, issue was that rounds would get caught in a space at the edge of the feed ramp, causing the gun to jam. Remington did not issue a recall, but it has probably addressed the complaints of individual customers. Some people out there said the magazines needed to be replaced, and that the gun itself was fine. I don’t know the ins and outs of Remington Arms, but I feel that there were some reviewers and writers out there who were too quick to point out the faults but failed to mention the gun’s significantly lower price. You get what you pay for. The RP9 is standard. It is not anything special, nor is it a piece of junk. It is a moderately-priced 9mm handgun. No more, no less. Some will undoubtedly call the RP9 a lemon and say that Remington should not have forayed into polymer-based 9mm striker-fired guns. Any manufacturer will encounter mistakes when the product goes to mass-production. I feel that there is a chance that Remington lowered the bar for this one, in a haste to get it done. Seems like the jam/mag issue – if it is in fact more widespread than it ought to be – is a kink that should have been ironed out in earlier stages of production. Being a full size, nobody should make the mistake of thinking this is anything but a full-size handgun. I don’t like hearing complaints about how full-sized guns are not too concealable… really? Look, if you want to conceal your weapon, don’t buy a full size. Or buy it, but don’t complain that it is cumbersome or that the concealed holsters don’t do much concealing. There is only so much a holster will be able to conceal with a full-sized 9mm pistol. Here are a couple of holsters which fit the RP9 well enough. There aren’t many out there which are made for the RP9, but there are many full-size 9mm holsters which could get the job done for you. Holsters, much like the weapons themselves, are a highly subjective matter. It has to do with what you wear, where you are, your personal preference/convenience, and let’s not forget the weight and size issue which crops up when you add gear to a handgun. And yes, there are other factors. Azula Holsters has a hand-made, inside-the-waistband, concealed carry holster, made from leather and designed specifically for the RP9. Another one is by Bama Belts and Leathers, which is made of black nylon. It clips onto your belt and is ambisextrous with a built-in magazine holder. Also, it is adjustable. First of all, there are the magazines which Remington themselves produce and distribute for the RP9. Choose from 18 or 10 round mags, with blued steel and a black matte finish. The spring may take some breaking in, but overall the magazine is a solid piece of work. As mentioned, you get 2 18-round magazines with your purchase of a new RP9, but whether at the range or at home – it never hurts to have more firepower. And being as how these are high-quality factory magazines, the chances they will fail are much lower. Is the RP9 is the gun of your dreams? Probably not. Is it an affordable and viable piece of weaponry? Absolutely. I feel Remington made the right move with the RP9, simply because they could not stay away from the 9mm polymer game any longer. There are indeed better guns than the RP9, but – once again – consider the price point. 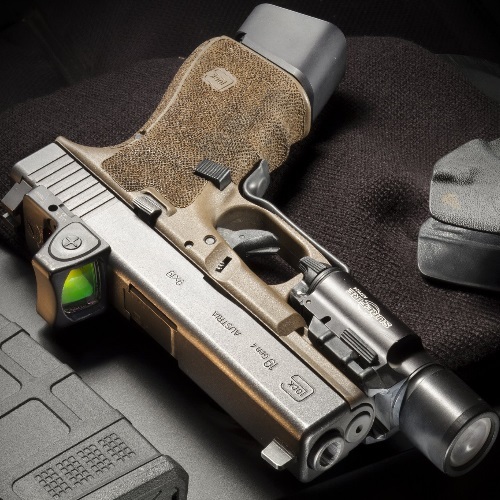 The RP9 was never meant to compete or be compared to other 9mm handguns like Sig or Glock or M&P, even though the specifications are practically begging for the comparison to be made by the shooter. That said, even though they made the right move heading into 9mm, polymer-based, striker-fired territory, I still think they could have upped the price a little bit and invested more in the earlier stages of production. There are those who never experienced a failure to feed or any other sort of jam, nor anything close to that. Some people bought their RP9 handgun and never had to face a single issue. Remington’s customer service has always been helpful, but honestly – for a company with such a proud history and reputable name – I would expect more of them. We hope you enjoyed this Gunivore Review! You get what you pay for. The MSRP is a bit over $400, and in shops (on and offline) you can usually find it for a price of between $300 to $400. The second, and perhaps more serious, issue was that rounds would get caught in a space at the edge of the feed ramp, causing the gun to jam. So from your article, a firearm that costs $300 to $400 should be expected to jam. Tell me, just exactly how much would a person have to pay to have a firearm that ACTUALLY FUNCTIONED as it was designed to function. Five Hundred dollars; six hundred dollars; maybe seven hundred dollars, would that meet your criteria for a firearm carried for self defense that wouldn’t get you killed? Stop making excuses for the big gun companies. Is it an affordable and viable piece of weaponry? Absolutely! So you think a gun known to jam quite a bit is a viable piece of weaponry. I think we disagree a lot on what a weapon is expected to do, even if it only cost a $100. It should function correctly!!! Hi Richard, I hear your concern but it seems as though you didn’t read the article entirely. I made it clear that the RP9 “is not anything special, nor is it a piece of junk. It is a moderately-priced 9mm handgun. No more, no less.” and “Some people bought their RP9 handgun and never had to face a single issue. Remington’s customer service has always been helpful, but honestly – for a company with such a proud history and reputable name – I would expect more of them.” I also never advocate for using this full-size pistol as a CCW.